Police say one thousand plants worth around £900,000 were found at separate addresses on Old Park Avenue on Friday. 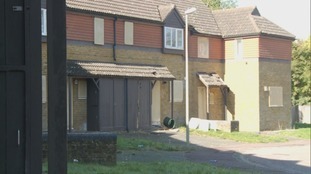 A row has erupted between the MoD and Canterbury City Council over former army homes which have been left unoccupied. A new exhibition focusing on the artwork in Ladybird Books has gone on display in Canterbury. It disappeared from Canterbury Cathedral more than five hundred years ago but a rare mediaeval bible is now back in its rightful place. Canterbury Cathedral is pulling out all the stops to upgrade it's 132 year-old Willis Organ before being dismantled. Canterbury Hockey’s Grace Balsdon and Susannah Townsend helped England Women to victory in their opening Commonwealth Games match. Prolonged sub-zero temperatures like this trigger an emergency response to make sure there is a bed for anyone who needs one overnight.